Most of us live a spoiled life. Our culture is one of instant gratification. If we need something, we buy it; if we want something, we buy it; if someone else has it and we’re not even sure we’d use it, we buy it! We have this amazing thing called Amazon – you can find absolutely anything your heart desires and purchase it – then it arrives less than two days later. All from the comfort of your own home. I consider myself quite fortunate that my needs are always met. But it is easy to take for granted; and so very easy to forget that many people are not able to instantly purchase what they need. A friend commented recently about parents at a local school not able to afford toilet paper when they ran out. Not having money to buy toilet paper?!? I can’t begin to imagine the guilt and stress a parent would feel – the choices they must make. My kids are spoiled. Not in a bad way – they do not get absolutely everything they ask for. But they do have all they need, and most of their wants are fulfilled. I’ll share this story, though many that know me personally have already heard the drama unfold through timely Facebook posts and pictures. On a recent Saturday evening, our little family decided to play a rousing game of Wii bowling. My daughter is 3 ½ and is now actually able to play on her own. (The ability to play Wii games is a skill many young children have mastered far beyond my own ability!) 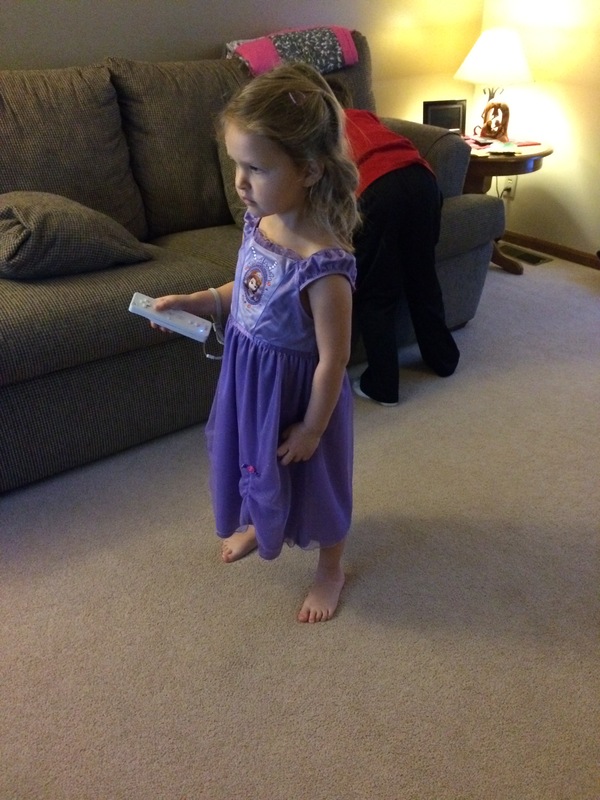 She was so very excited to play this game that of course she had to change into her princess dress! So we bowled and we laughed and we cheered each other on. 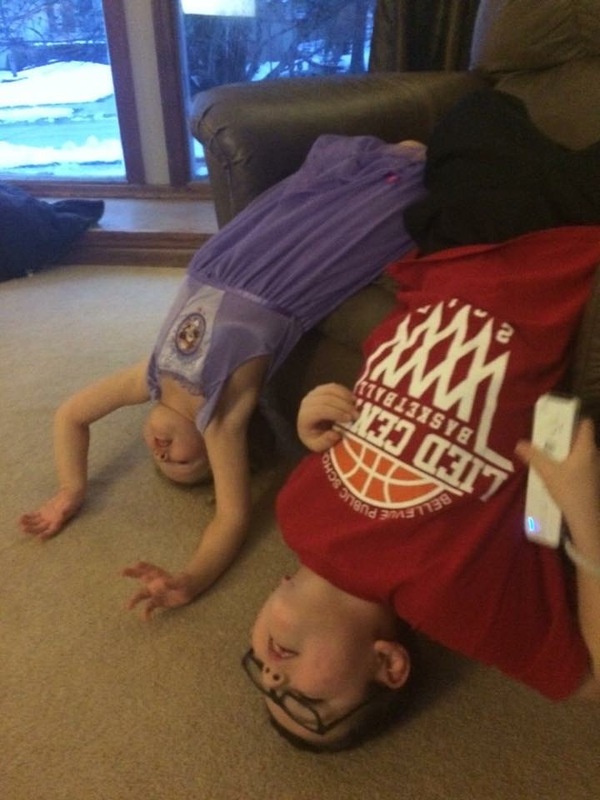 The kids decide to try upside down bowling (of course my daughter bowls a strike); a night of simple family fun! About halfway through the game, my daughter stands up for her turn. As her game began to improve, my husband and I were lax in checking if that strap was firmly attached to her little wrist. (Note to parents – when a 3-year-old is involved, always check to make sure the Wii remote strap is tightly secured!) She stood up for her turn and swung her arm back; we watch with anticipation. As she stepped forward the Wii remote flew straight ahead, a blur of white moving at warp speed straight towards the television. It hit near the center of the screen. There was a flash of light, a pop, and then it went dark – never to be lit again! 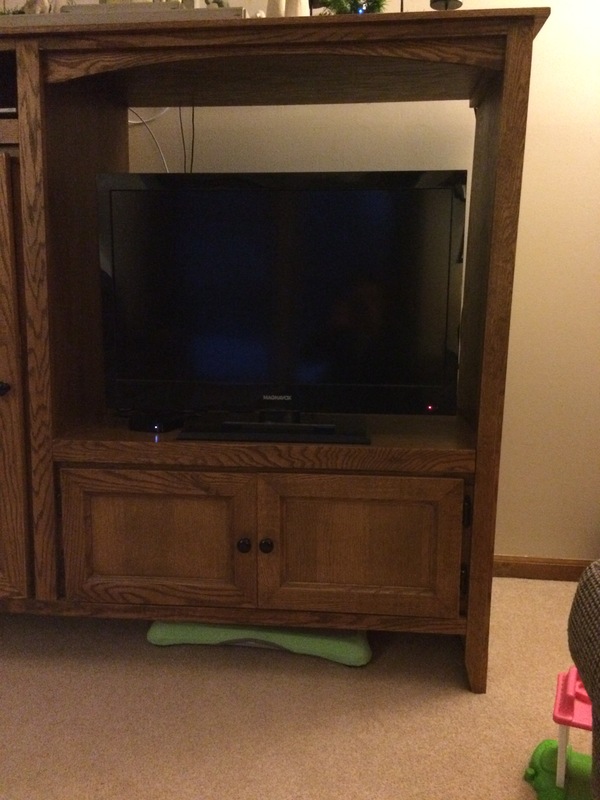 So there we are – standing around our living room with a blank TV. My immediate reaction is that we must do whatever necessary to replace this TV as soon as possible! And then I felt shame – I could instantly shell out hundreds of dollars for a new TV when other moms can’t afford to buy toilet paper! What does this say about me, and what lesson does this teach my kids? To simply provide a lesson, we waited a few weeks and lived with no TV. We played card games and read books instead. I wish I had a more remarkable life-altering conclusion to this story, but we’ve already replaced that darn TV. Still, I hope my family carries something forward from this small event. Maybe we evaluate our needs and wants together before making a purchase. Maybe we be open and honest about how we could address the needs of people in our community before we seek to satisfy our wants. As disciples, this is what we are called to do. Find the need and meet it! Categories: Ministry | Tags: faith, family, generosity, giving, God, needs, parenting, wants | Permalink.